In Season 1, Mexican actor Diego Luna plays the role of drug lord 'Miguel Ángel Félix Gallardo' during the rise of the Guadalajara Cartel in the 1980s. LOS ANGELES — Netflix has renewed "Narcos: Mexico" for a second season, Variety has learned. Originally intended as a fourth season of "Narcos," which focused on the rise of the cocaine business in Colombia under Pablo Escobar and his Medellin Cartel, "Narcos: Mexico" became a new series, shifting the focus to the beginnings of the Mexican drug trade and how it became what it is today. 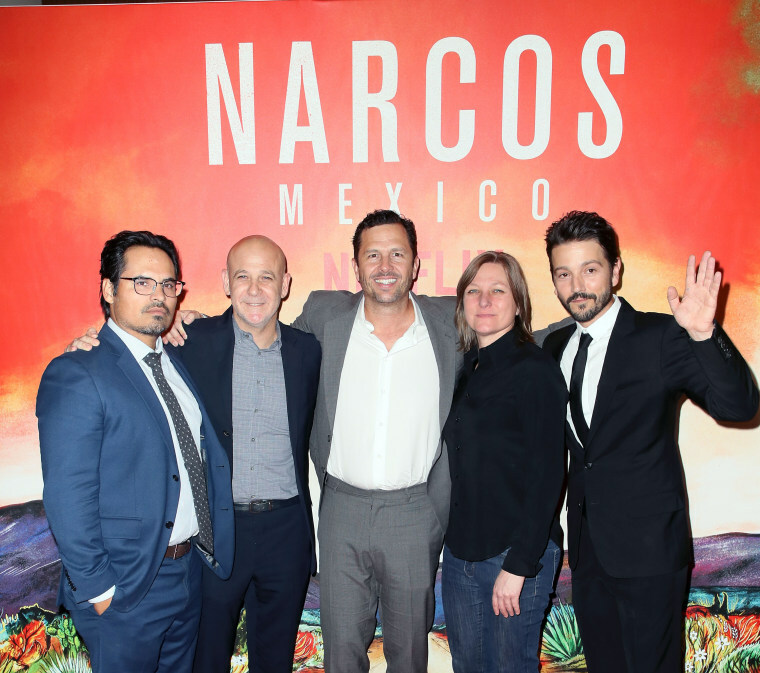 Season 1 charts the rise of the Guadalajara Cartel in the 1980s as Felix Gallardo (Diego Luna) takes the helm, unifying traffickers in order to build an empire. When DEA agent Kiki Camarena (Michael Peña) moves his wife and young son from California to Guadalajara to take on a new post, he quickly learns that his assignment will be more challenging than he ever could have imagined. As Kiki garners intelligence on Felix and becomes more entangled in his mission, a tragic chain of events unfold, affecting the drug trade and the war against it for years to come. In addition to Luna and Peña, the first season also starred Alyssa Diaz, Joaquin Cosio, Matt Letscher, and Aaron Staton. The season has received mostly positive reviews from critics, holding an 84 percent approval rating on Rotten Tomatoes. "Narcos: Mexico" is produced by Gaumont Television for Netflix. Eric Newman will return as executive producer and showrunner. Jose Padilha, Doug Miro, Carlo Bernard, and Andres Baiz are also executive producers.